When two fractions are multiplied, we multiply together the numerators of the fractions to form the new numerator and we do the same for the denominators. Sometimes we can make the multiplication easier if some of the numbers can be simplified by canceling out factors common to both the numerator and the denominator in any of the fractions. 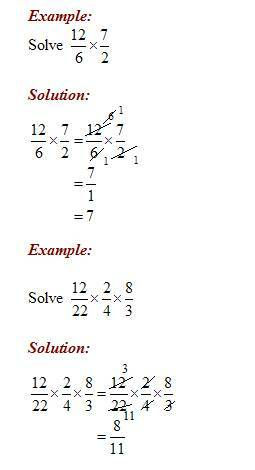 Fractions can also be squared. 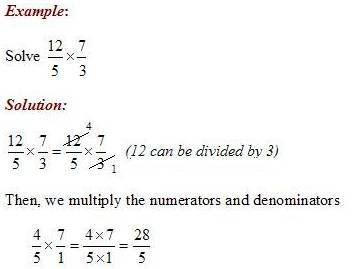 Both the numerator and denominator are squared to give the result.